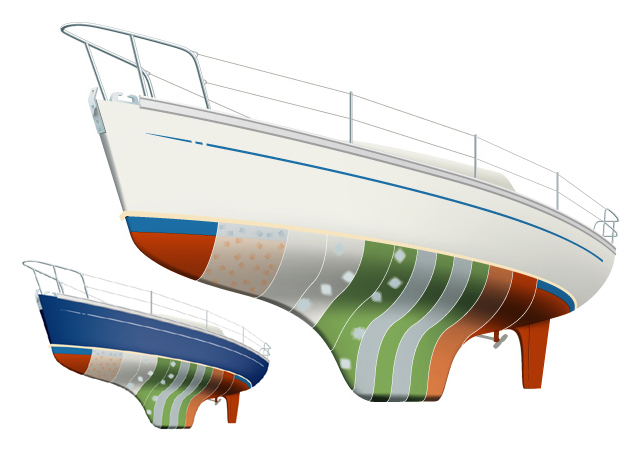 Illustration for magazine to show the different stages in applying a paint system. The client decided they wanted a blue boat after the job was done, hence the insert to show the actual finished illustration. Completed entirely in Adobe Illustrator. Click on image to return to main page.